LOCKLINEA DANCE FILM THAT PORTRAITS THE TENACITY OF THE HUMAN SPIRIT. Sunset is a dance film that explores the depths of the human soul from a shallow beginning to a total immersive conclusion. Sunset examines the elements that provoke our innate self-defense mechanisms, often activated to protect our feelings from being hurt. This instinct to protect and shelter our vulnerabilities can leave us feeling disconnected from society, abandoned, isolated, utterly alone. Loneliness is the father of self-destruction, how can we make him a better parent? Do we need to fight our demons, or is there another way to find peace, love, and harmony? This film intends to explore different ways to overcome the greatest demon of all - the self. If the story is told well, we may not have to fight our demons, but tame them, befriend them and ultimately conquer them with kindness and self-love. Sunset is part of a final project to complete a Bachelor in Filmmaking, it is essentially a film thesis. Therefore there is no commercial intention in the making of this film other than the potential distribution of Sunset to dance film festivals and magazines. We intend to programme Sunset across Europe and even further, to prove, as part of the thesis, that this project can be included as a new genre of dance film. The funds raised for this project will be used only for the production of the film (location, transportation, equipment, distribution, catering, cast, and crew). The intention of this crowdfunding is to cover the basic expenses of the film and to be able to send it to different film festivals. WHY IS IT IMPORTANT TO SUPPORT THIS PROJECT? Sunset is a project with a strong concept that can be translated into a beautiful film - self-care. With the right tools, and your help. You can make the creation of this piece easier for everyone, help a student to become a professional filmmaker and collaborate in the distribution of the film to inspire and help anyone who is going through a difficult moment, to overcome their fears. What this film is exploring is the existence of a new genre of dance film. Including dialogue as another layer in the creation of this story, two dancers will be performing a contemporary dance piece that tells the story of their fears and how they fight to overcome them. Defining the fine line between fiction and dance. Sunset is a different type of dance film. One that uses all types of artistic languages to tell a story of hope in dark times. "This film is like a mirror, you can see yourself reflected. We all try to overcome our demons and we all try to find ways to make peace with the past." 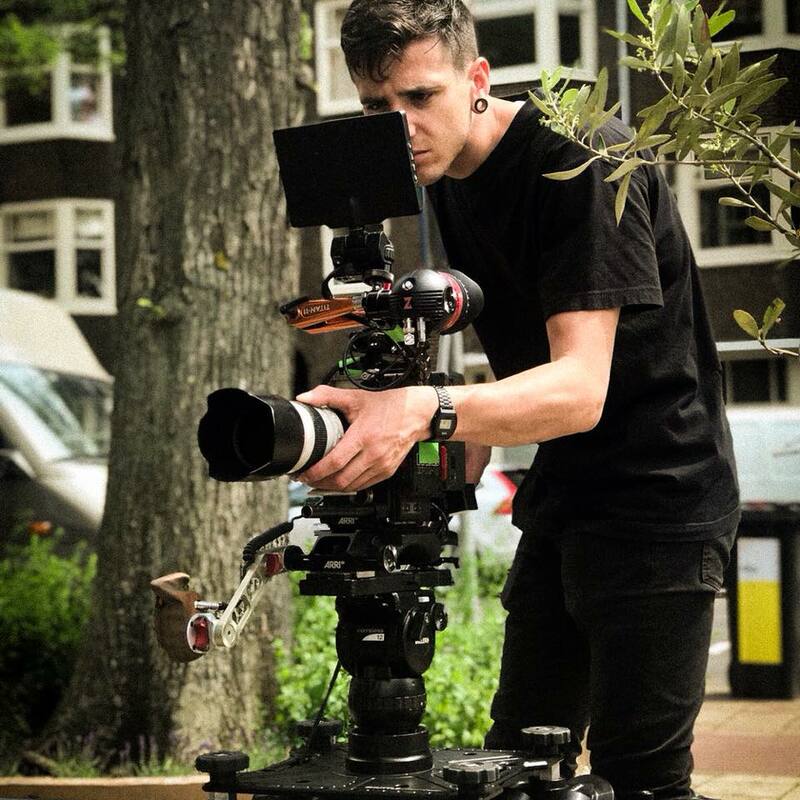 Born and raised in Barcelona, Spain, German is a 25 year old SAE student based in Amsterdam working on his final project for the filmmaking bachelor. Passionate for film at a young age he started studying the craft of visual arts three years ago and worked in several projects from music videos, documentaries, fiction films…The reason why he decided to become a filmmaker is to inspire people and use his creativity for something productive, give to the audience always something to think about. Working on his latest project “Sunset” German has decided to merge dance and fiction and create something different. This is a film that dives into the dark side of those who have been through a difficult experience and were not able to overcome the trauma. The intention of the film is to use it as a mirror for those who have been through a similar experience, so they can see themselves reflected. Teaching that vulnerability is not always a sign of weakness and strength can arise from different places. Director and artist in the ANT -Physical Theatre Company. Fernando Oliveira’s work experiments with the body movements stimulated by sounds and vocal feelings as the main source for his work with creator by improvising, he develops his own way to building up the choreography language. Fernando’s work is best described as: poetic. Music, text and decor are flowing together in a very organic way. This approachbecame an aesthetic, raising questions about the body and the environment surrounding it, its possibilities, and how to transform it using the diversity of his artistic language and his authorial work. Kim Doeleman is 24 years old and was born in The Netherlands. Starting dance at a relatively late age she found the freedom and joy to express and share with movement. This led her to start studying dance at ArtEZ University of the Arts. In 2014 she graduated with a Bachelor of Dance. During and after her study she had the opportunity to work with international choreographers such as; Amos Ben – Tal, Jerôme Meyer, Ann van den Broek, Corneliu Ganea and others. After one year working at dance company De Stilte she became a freelance dancer and teacher focusing on modern and contemporary dance. As a performer and teacher she strives to expand her knowledge in movement and technique’s by following various classes, workshops and intensives such as; Countertechnique, Gaga and with Hofesh Shechter. Corneliu Ganea is an Romanian independent choreographer, teacher and filmmaker based in Amsterdam. With the creation of his first duet in 1999, he discovered a passion for movement and choreography. 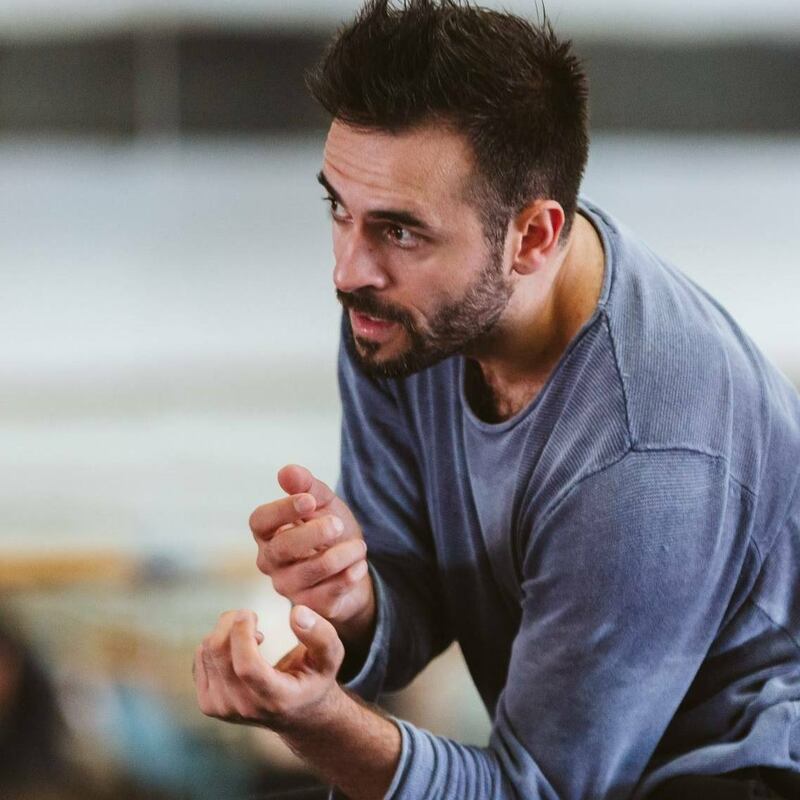 Pursuing this attraction, Corneliu developed a large variety of works which were presented and awarded at different festivals and choreographic competitions around the world. 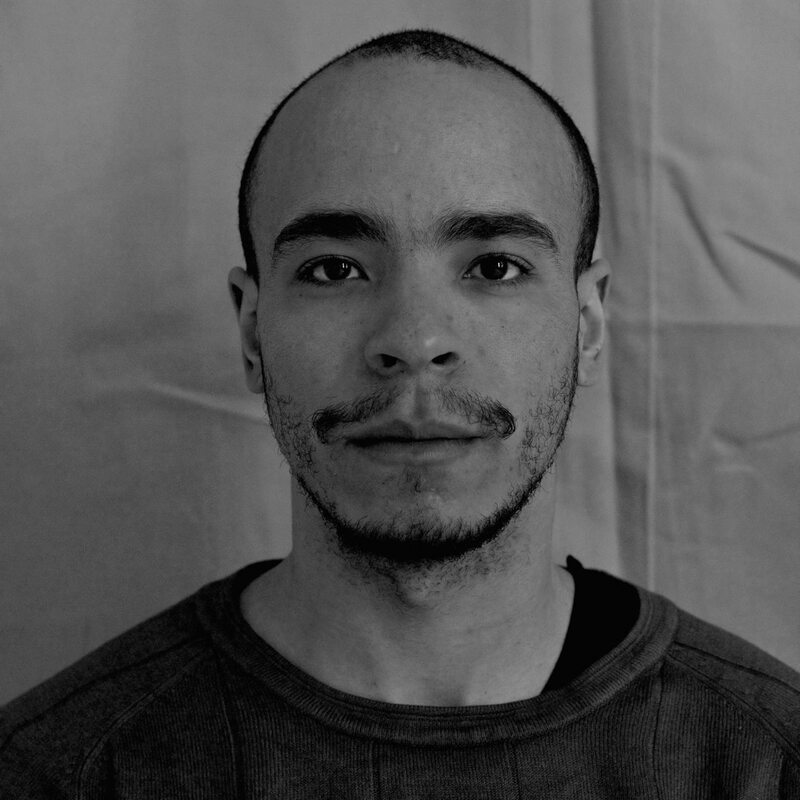 Following the work titled Boma, for Internationaal Danstheater Amsterdam, he further established his presence in the Dutch contemporary dance scene as an upcoming choreographer. Taking a strong inspiration from music, Corneliu develops works which are physical, poetic and revolved around unique characters. Using the human body as a medium for expression Corneliu allows himself to explore the infinite possibilities of motions in a choreographic structure and its impact on the viewer. The experience of the audience plays an important role and is just as important as the one of the performers, as the symbiotic relationship between the two is a vital aspect of Corneliu's work. Developing works and characters which manage to peel the surface of mundane and peer into our vulnerabilities and weakness, is a presence in Corneliu's performances. Corneliu graduated the Digital Film Diploma course at the SAE Institute in Amsterdam in 2018. As a film maker he is now active in the niche dance scene by filming and editing dance performances and a variety of commercial works for different companies. Andrea Casetti originally Italian, started in 2011 working as videomaker. In 2013 he moved to Amsterdam to attend a 2 year long school on Digital Film Making. In the Dutch city he started specializing as director of photography and developing his own style, bringing it to all the productions he would be part of. 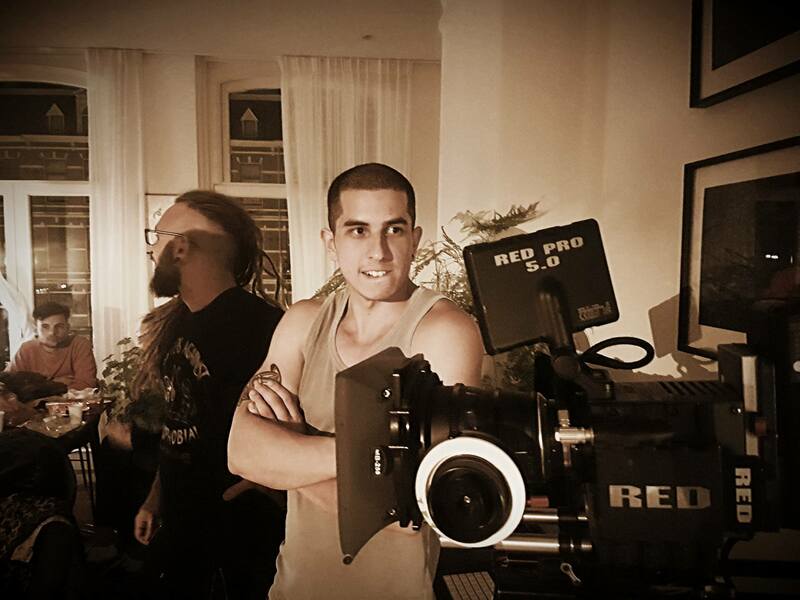 Beside commercial work his major creative work comes out in music videos and fashion short movies. His work has been featured in the Eye Museum in Amsterdam, on Nick Knights’ ShowStudio and other renowned fashion online magazines. Germaaan!! Me alegro mucho que hayas podido llegar al objetivo. Mucha suerte con el proyecto!! Un abrazo muy fuerte! Hola Germán!!! Felicitaciones por estar ya culminando tus estudios y muchos éxitos haciendo el corto. I wish you the best for the bestie! I trust on your skills and I am sure this film is gonna be inspiring for loads of people! Good luck my friend, I love you! La familia Vega-Gómez te desea lo mejor y está súper orgullosa de ti. YAY! Thank you so much for your support! Your reward is: YOUR NAME WILL SHINE IN THE CREDITS! AMAZING! Thank you so much for your support! Your rewards are: YOU WILL RECEIVE A PERSONALISED POSTCARD SIGNED BY THE DIRECTOR - Your name will shine in the credits. COOL! Thank you so much for your support! Your rewards are: A DOWNLOADABLE LINK AFTER THE FILM RELEASE! - Your name will shine in the credits. WICKED! Thank you so much for your support! Your rewards are: ONE TICKET FOR THE PREMIERE! - A downloadable link after the film release and your name will shine in the credits! PHENOMENAL! Thank you so much for your support! Your rewards are: A PERSONAL THANK YOU VIDEO FROM THE DIRECTOR - One ticket for the film premiere. A downloadable link after the film release and your name will shine in the credits! INCREDIBLE! Thank you so much for your support! Your rewards are: A SPECIAL CALL OUT IN THE FILM CREDITS AND TWO TICKETS FOR THE FILM PREMIERE! A personalised thank you video form the director - A downloadable link after the film release and your name will shine in the credits. LEGENDARY! Thank you so much for your support! Your rewards are: WANNA KNOW ALL THE INSIDE OUT OF THE FILM? HAVE A PERSONAL Q&A WITH THE DIRECTOR! - TWO TICKETS FOR THE FILM PREMIERE- SPECIAL CALL OUT IN THE FILM CREDITS- A PERSONALISED POSTCARD SIGNED BY THE DIRECTOR AND A DOWNLOADABLE LINK AFTER THE FILM RELEASE.